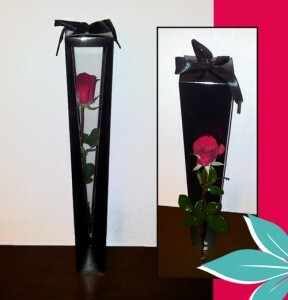 A single red rose flaunts its vibrant crimson petals standing tall in square black box, capturing your most romantic sentiments and offering a message of endless love. 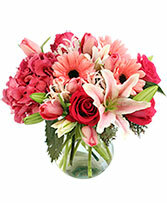 Choose any other rose color: Red, White, Blue, Pink, Pastel, Orange, Green, Yellow. 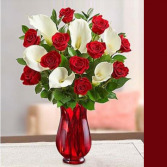 Our radiant long-stem red roses and graceful white Calla lilies are gathered together into one gorgeous bouquet for someone who means everything to you. 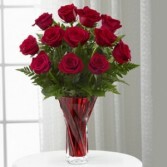 Make your sentiment even rosier by adding one of our stylish signature vases. Bouquet of 12 long-stem red roses and 5 white Calla lilies gathered with ruscus Picked fresh on our premier farms delivered fresh to ensure lasting beauty and enjoyment.